Reporting period: 29 September - 05 October 2011 (Updated: 06 October). During the reporting period (29 Sep – 5 Oct 11) there were two incidents of suspicious activity and one attack in the Gulf of Aden (GOA), one incident of suspicious activity, one disruption and two attacks in the Arabian Sea and one approach, three attacks and a disruption in the central Somali Basin. Also, a French woman was abducted from Manda Island off the Kenyan coast. Weather conditions improve across the entire area, and pirate activity is expected to rise in a similar pattern to last year. Pirate related activity ashore continues to increase in preparation of Pirate Attack Groups (PAGs), some of which are believed to be already at sea, continue. 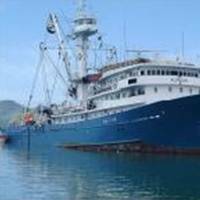 EU NAVFOR reported that on the morning of 4 March, the 2,100 tonnes Spanish Fishing Vessel Albacan was attacked by pirates in the Indinan Ocean. 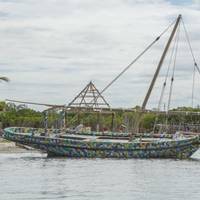 The Albacan, owned by Albacora, and registered in Cadiz, was fishing half way between the Seychelles and the Kenyan coast (Mombasa) when it was approached by two pirate skiffs. The skiffs had pirates onboard with weapons clearly visible and Albacan took evasive action. After a short while one of the skiffs made a close approach and fired a rocket propelled grenade that exploded on the deck of the fishing vessel. McQuilling Services, LLC, marine transport advisors, released a message addressing the economic impact of pirate attacks on tankers. “The recent pirate attack on the VLCC Sirius Star – 319,430 dwt built 2008 – that took place offshore Kenyan coast, has implied a new magnitude of possible security impacts on the tanker shipping markets. An increasing threat from the Somali pirates is present in that region and the additional insurance premiums are being paid by the ship owners in order to transit the dangerous waters. However, the attack on Sirius Star stands-out from the rest because of the sheer size and value of the hijacked vessel which may propel various short term changes in the tanker marketplace in the near future. The Kenya Ports Authority (KPA) in conjunction with the Kenya Navy and the Kenya Police have jointly put up stringent security measures to ensure that all ships, and in particular cruise ships plying the Kenyan coastline waters, are safe, according to a recent Kenya Times report. The move was necessitated following the recent incident in which a tourist ship was attacked on its way to the Kenyan coast by Somali militiamen and had to divert to Seychelles. Among the security measures to be put in place include a radar station operated by the Kenyan Navy on the coastline capable of automatically identifying ships and will be in constant communication with port control stations, says the report.